Members of the CA Interact Club attended the Sunrise Rotary meeting on Thursday, May 4 at APSU’s University Center. Club President Elizabeth Mabry and President-Elect Mallory Saleh were recognized for their commitment to Interact and Rotary Clubs through their leadership. The Rotarians also recognized the CA Interact club for being such an active and involved group. The speaker was Gary Austin of the Army Fisher House at Fort Campbell. 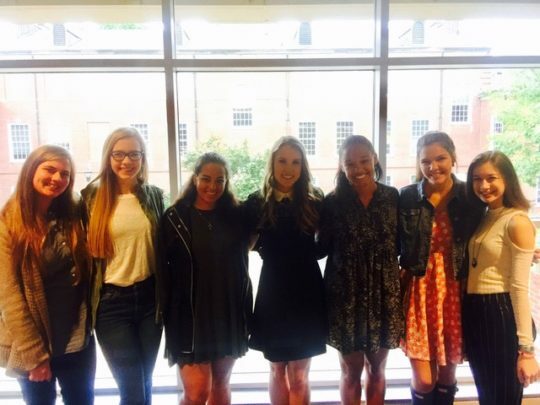 Pictured from left: Brinley Meek, President Elizabeth Mabry, President-Elect Mallory Saleh, Michaela Dowdy, Aliyah Wise, Madison Hawkins, and Maggie Clark.